Wunderlist Vs Any.do Vs Toodledo Vs GQueues: Who's Got Best GTD Features? Wunderlist Vs Any.do Vs Toodledo Vs GQueues: Which One Qualifies as the Best GTD App? Everybody could use a better way to organize their lives. Some opt for calendar books, alerts on their phone, even a basic to-do list, but there’s a better way to organize tasks that must be completed today, tomorrow and into the faraway feature. It is the Get Things Done (GTD) principle, an amped-up version of your basic to-do list, and there are four apps that set out to incorporate this popular time management method. The apps competing for your to-do list are Wunderlist, Any.do, Toodledo, and GQueues. While Wunderlist is one of the more well-known to-do list apps that uses the GTD principle, Any.do and a few others are definitely worth a look. From a solid comparison of their features, usability and design to a closer look at their syncing capabilities, our guide will compare the most popular to-do list apps to see who comes out on top based on what all features they offer. Wunderlist likes to call itself beautiful, and they have every reason to. Whether you use the app on your computer or on your phone, it has a sleek design designed to make it easy for your mind to quiet itself in order to create exact to-do lists and sub-tasks. After creating an account, which you can quickly do by using your Facebook account, the app brings you to your “Inbox” where can begin creating the ultimate to-list. You can create different lists. 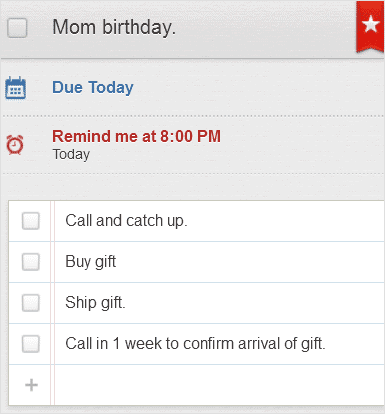 Lists for work, personal, bills, vacations, family, purchases, Wunderlist knows the best to-do list is actually several. 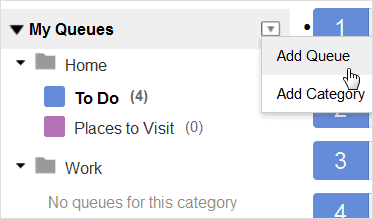 You can also add your own list by clicking the “Add list” button at the bottom of the queue of your to-do lists. You can also change the background to enhance the visual aspects of the app. 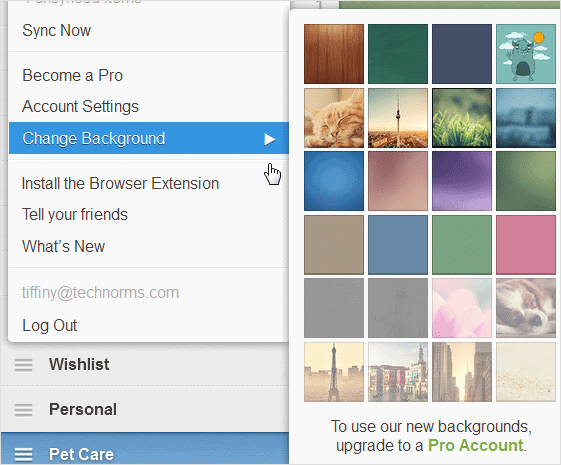 You can change the background by clicking your avatar in the top-left corner of the screen and selecting “Change background.” Free accounts have access to 12 different backgrounds. 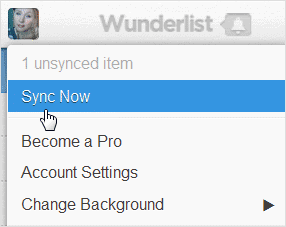 The entire way Wunderlist is designed is incredibly user-friendly. Your list will be found on the left side of the screen, and as you click one of your lists, the tasks for the list will appear in the center of the screen in a with checkboxes. 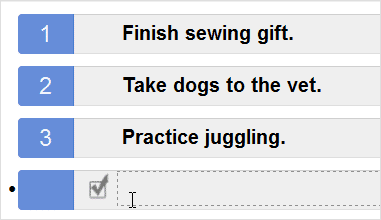 As you finish your tasks, you can mark them as completed by checking the box next to each task. Adding subtasks is also quite simple. Just double-click a task to bring up its own window where you can add sub-tasks, a due date if you would like a reminder, as well as notes regarding the task. If you’re a fan of adding hashtags to everything, Wunderlist allows these to be integrated into your tasks as well, and they can be searched upon which is quite handy when searching for tasks with similar aspects. 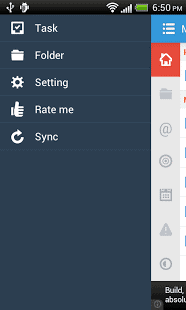 Wunderlist is completely compatible on all major platforms, Android and iOS, as well as with Windows. The price for the Pro version (see below) on any of these platforms is also the same. Anyone familiar with the GTD principle will surely notice several of its ideals integrated into this app. The main two of these being the option to create multiple to-do lists for different areas of your life as well as sub-tasks to make it easier for your brain to wrap itself around larger projects that must be completed. One of the main components of GTD is also available in Wunderlist – the inbox. This is the place where it’s recommended to “dump your thoughts” to get whenever you’re thinking of off your mind, let those things go and move forward on concentrating on creating an awesome to-do list. For anyone worried about forgetting about logging in to view their to-do list each day, Wunderlist has the option of turning on a desktop and in-browser notifications so that important and timely tasks are shown no matter what you’re looking at. You can sign up for desktop, e-mail and push notifications. You can also connect your account with Facebook to share lists and collaborate with co-workers. This can be found in the settings area, which is accessed by clicking the gear icon at the bottom of the left sidebar. Click the “Account” to access Facebook linking. The basic version of Wunderlist is completely free, however, if you want the “Pro” version, which gives you unlimited sub-tasks, background options and the ability to attach files to your to-do list items. This is definitely something to consider for anyone who uses Wunderlist for work. 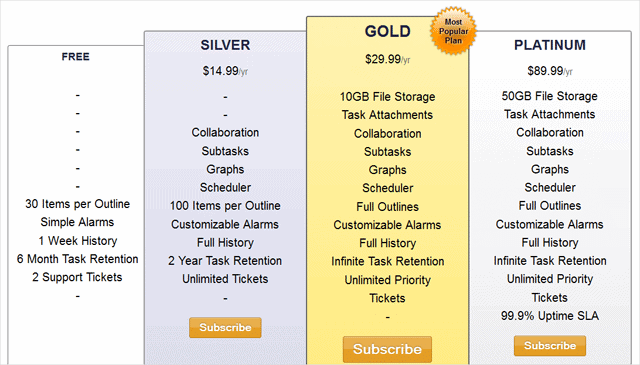 The cost for Pro is $4.99/month or $49.00/yr. For a to-do list app that has a sleek modern design, Any.Do hits the mark. This app was initially created for smartphones, hence the ultra simple design. The app now, however, can be used in Chrome, with the simple design remaining the same. Since the app operates on a pop-up window, unlike Wunderlist which needs its own screen, this is definitely a feature that makes Any.Do stand out. The separated lists are listed in a simple queue with an appealing blue font for each label. Navigating Any.Do is quite easy. At the top of the app are four icons. 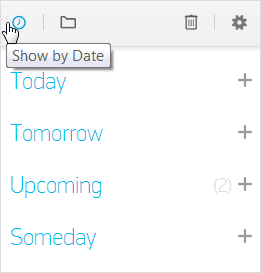 The first icon lets you organize your lists by date. 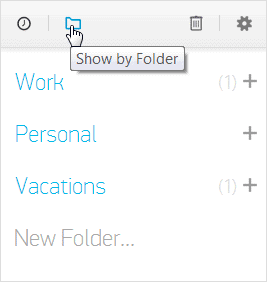 The second lets you organize your tasks by folder. To add a new task to a list, click the “+ icon” next to the list and a field for adding a new task will appear. Under each task, you add, Any.Do gives you additional options. The first icon lets you mark the task as “Priority,” the second icon lets you change its folder, the third icon lets you set a reminder and the last icon is for adding notes. Any.Do also has several interesting features on its mobile app, such as its built-in daily review, the option to create a to-do list in an email and reminders to return missed calls. Any.Do is compatible with iOS and Android phones and it can be used on the Google Chrome browser. When it comes to the GTD capabilities of Any.Do, they’re present but not as robust as Wunderlist. You can add notes to each task and you can create multiple lists, but there’s no inbox to dump all your ideas. Being that Any.Do is a mobile app first and foremost, there are multiple notification options. A grey notification bar at the top of your phone will remind you of your tasks. The best way to set-up a notifications is to add a reminder to each task or note. You can do this by clicking the “Reminder” icon next to a task. The mobile version of Any.Do will sync automatically. To sync with Google Tasks, go under “Menu > Sync” and press “Google Tasks” and log in. Also, make sure you press “Allow access” when it asks for permission. The very heart of this app is connected to social media. The first time you use Any.Do, the app will ask to connect with Facebook. Any.Do is completely free and has no upgraded account. All features are available to anyone who downloads the app. Toodledo, a to-do list app for iOS, Android and Blackberry phones, as well the PC, is a full-featured to-do list app that lets you organize your tasks and improve your productivity. The design could be a little bit more updated and simplified, but it does offer dozens of interesting features. 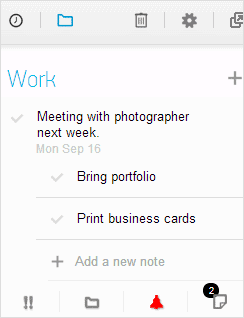 After registering, you’ll be brought to your “Workspace,” your account area where you can view your entire task list. 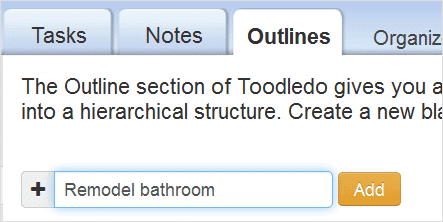 Using Toodledo is incredibly easy. Lists in this app are called “Outlines,” and you can add as many as you’d like. Just click “Outlines” at the top of your workspace to create a new list. As you create new outlines, they’ll be listed in the left column, along with keyboard shortcuts, a search field to find a specific task and a “Sort” button to organize your lists exactly the way you want (alphabetical, date added date modified, etc). 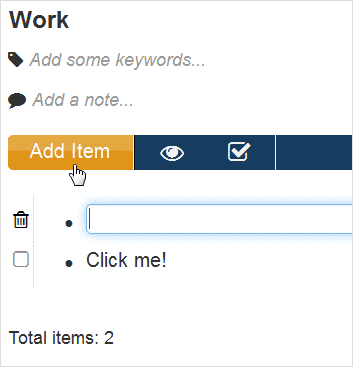 After creating a list in Toodledo, you can add a task by clicking the “Add item” or “Click me!” button. The app provides several ways to do this. You can also add notes/sub-tasks and keywords to each item. 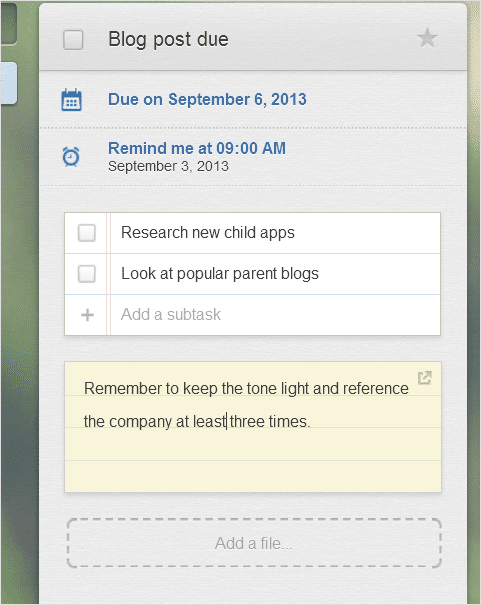 Overall, Toodledo provides the most options when it comes to details you can add to your to-do list tasks. Otherwise, you don’t have to create a separate outline/list when adding tasks. When under the “Task” tab, you can add a task quickly by clicking the “Quick add task” field and entering whatever you’d like. Here is what the “Add task” field looks like, including a due date and a priority setting. You can use Toodledo on iOS, Android, Blackberry phones and on the PC. It has found a particular following among Apple users. In regards to the GTD principal, Toodledo does offer certain aspects. 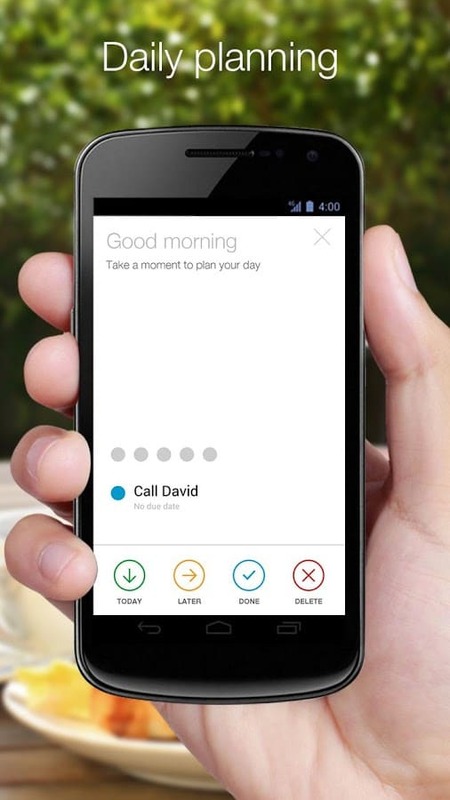 It lets you add multiple lists and sub-tasks and set-up reminders to ensure you never miss a thing on your list. When it comes to notifications, if you have an iOS phone you can sign up for notifications in the “Notifications” menu. Otherwise, you can always add a reminder and receive a notification that way. Toodledo can sync to iOS devices seamlessly. You can also sync Toodledo to your Outlook account. After running the app on your phone, go to “Settings” and select “Synchronization” to set it up. 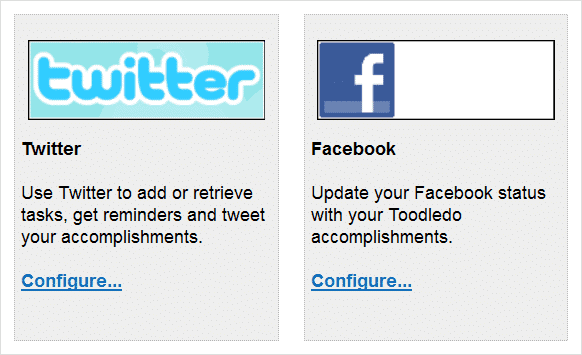 Toodledo uses both Twitter and Facebook to announce your activity with Toodledo if you so choose. Both can be easily configured. 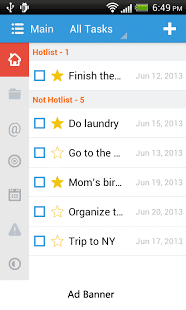 With the free version of Toodledo, you receive a powerful to-do list app. You’re allowed to add 30 tasks per list, as well as keeping the last six months of your to-do lists on file. Otherwise, if you find yourself an avid user, you can sign up for their Silver account for $14.99 a year and have access to graphs, scheduler and the option to add detailed sub-tasks. Two more expensive plans, their Gold plan at $29.99 and their Platinum plan for $89.99 a year, are also available. When you first look at GQueues you’d think it’s owned by Google. The App’s layout is sleek and modern; something we would associate with a Google service and is perfect for the busy person who needs to stay on track when using a to-do list. GQueues is essentially an amped-up version of Google Calendar. It is a full-featured task manager that integrates seamlessly with your Gmail and Google account and Google apps. 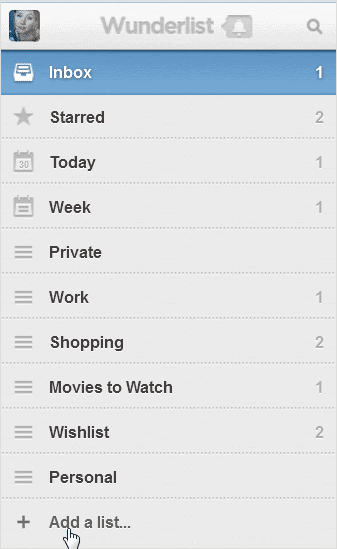 After logging in, your to-do list will be at the top and in a numbered format, with your lists in the left sidebar. What’s great about this design is that it’s very minimal and modern, making it highly appealing to use. The usability of GQueues is just as easy. To add a new task, click the red “Add task” button at the top of your screen and a new empty field will open in your numbered lists. You can also add notes/sub-tasks to each task. You can do this by hovering your mouse over the far right of each task to display various icons. Click the “Show/hide notes” button to add sub-tasks. After you click, a new field will open directly under a task. 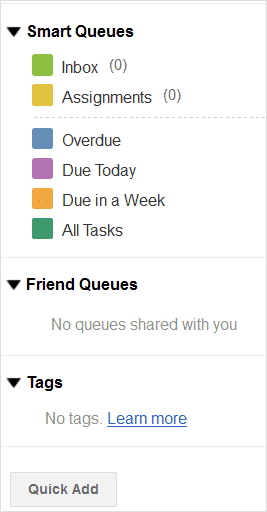 You can also add tags to make your tasks easier to find and you can view your friend’s queues. While GQueues is available on the PC, you can also use it on Android phones by downloading it from Google Play. They recently released an iOS version for their service. Since GQueues is operated by Google, it’s quite easy to receive notifications regarding tasks each day. It can send you a notification to your Gmail account. To set-up daily email notifications, go to “Settings” in the top-right corner of your screen and select the “Calendar” tab. Here you can adjust when the week starts. Additionally, you can sign up for text notifications, and if you have activated Google Calendar integration, you will receive notifications when viewing your calendar. Syncing is a powerful option in GQueues. As long as you’ve activated Google Calendar integration, your tasks will be synched with your Google Calendar. To share your tasks with family and coworkers is brilliantly easy in GQueues. 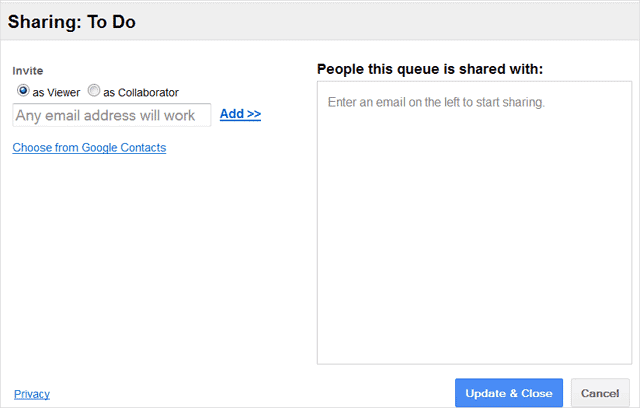 Just click the drop-down arrow by a queue, and click the “Share” button to send it via email. There are two different versions of GQueues. The free version known as GQueues Light and regular GQueues. 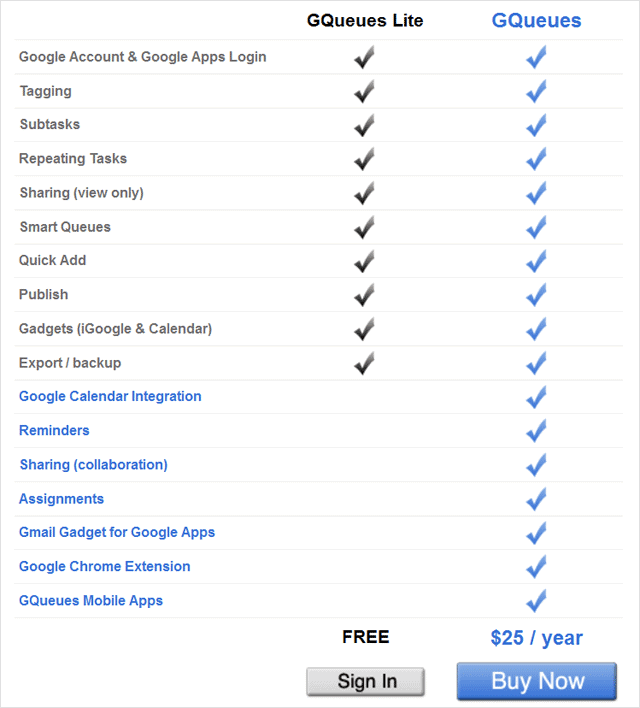 The pay version of GQueues costs $25 a year and what you get with the pay version that you don’t with the free version includes Google Calendar integration, reminders, sharing/collaboration options, assignments and an extension for Google Chrome. 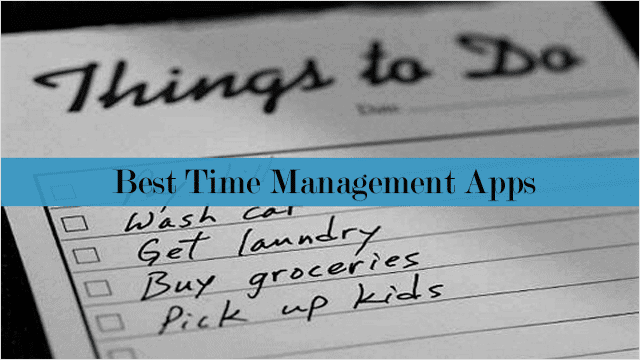 Online time management tools keep getting better. It’s up to you to decide which is best. Wunderlist definitely provides the most GTD principles thanks to providing an “inbox for letting go of thoughts clouding your mind, as ell as multiple lists and sub-tasks. However Any.Do’s sleek design is overwhelmingly appealing and makes it a close second. If GTD principles are important to you, Wunderlist is by far is the best GTD app at your disposal, hands down.